The flag carrier of the UAE has become one of the fastest-growing airlines since its inception in 2003, priding itself on challenging and changing principles of airline hospitality. Its internationally renowned in-flight service includes the astounding Diamond first-class lounge, featuring nanny-supervised crèches, champagne bars, spa, cigar lounge, and à la carte dining. Its CEO, James Hogan, said in mid-August that he is planning to pick up any routes that may be dropped by Qantas, following the company’s latest flight review. 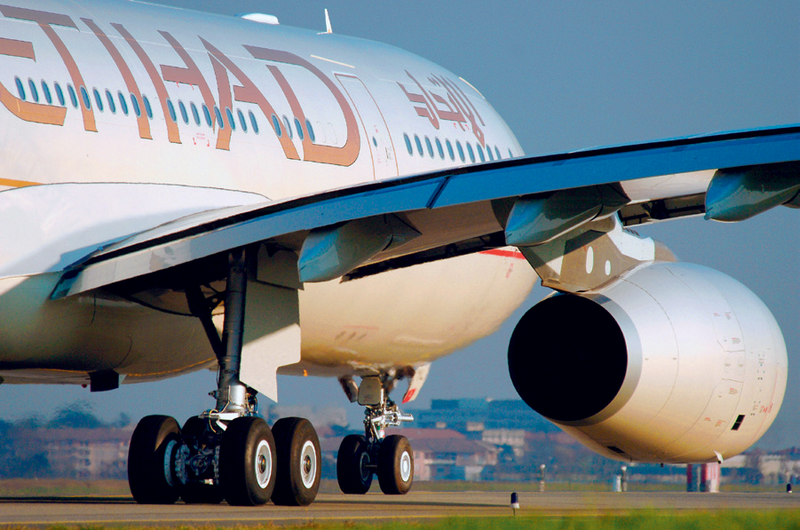 As of the end of 2010 the fleet operates around 1,000 flights weekly, to over 66 destinations worldwide.